I have two budgies in my house. Olly and I made a conscious decision when were married to keep budgies and we have had a succession of feathery friends for the 14+ years we've been hitched. We love them to look at and we love their chatter... their cheeps and peeps bring a nice ambience to our house. It's never really quiet and I like that. On his latest album - Jupiter Protects You - Drew Miller has brought together elements of ambient and dissonant electronica with electroacoustic flavours to create an impressive collection of very creative tracks. The more dissonant tracks, whilst not to my current personal taste, work on two levels... foreground where the ideas presented spark and fly off in tangents to inspire and delight... and background where they act as chatter... bringing the silence vitally alive with their sounds... like my precious budgies. The ambient tracks, which are more to my current taste, are stunning slices of ambient electronica. Less dissonant and more soothing, they are engaging and immersive... gloriously serene in their apparent stillness and yet containing sufficient movement to enthral and captivate. All in, this is an ambitious and very creative expression from Drew. I simply adore tracks like "Celestial"... "Sunshade"... "Galaxies and Milky Ways"... "All Around the World"... they click with me. Yes, there are tracks that I do not quite get at the moment but that's just me and maybe, just maybe that's the point... maybe I haven't yet caught up to the presentation of his ideas... maybe I'm not "there" yet... maybe they need time. Music, in my opinion, should not just comfort the soul but stir it too... this stirring can be, at times, initially painful but is ultimately rewarding... just consider the work of Aphex Twin. I don't get all of his work but I don't need to to celebrate his creative vision. Similarly with The Northern Hemisphere. As such, I would recommend that you give the album a few listens from start to finish before deciding if it works for you! Time will tell and I, for one, am prepared to take my time until this album becomes fully known to me... I believe Miller's music and creativity to be worthy of that kind of investment. 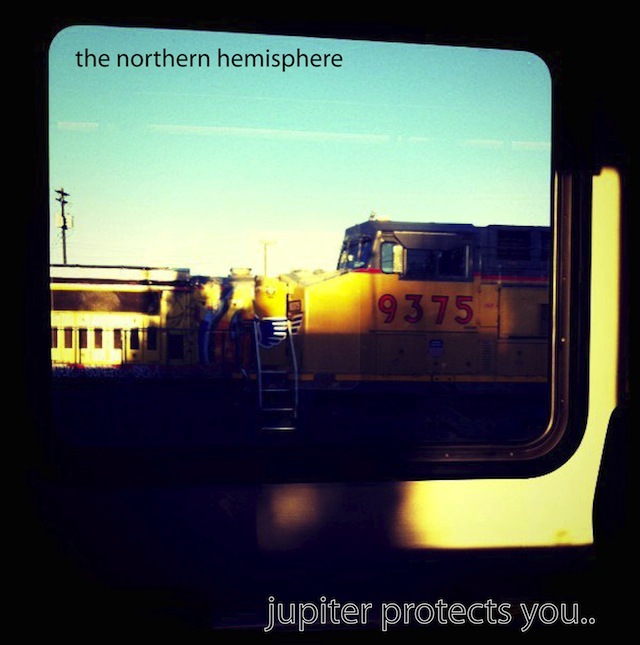 Jupiter Protects You will be released in early January on Bandcamp. A physical self-release will be available also. I am grateful to Drew for giving me a pre-release copy of the album but please note I have ordered a digital copy of the album.